T-Go interactive service is finally shut down after being launched last October. To DailySocial, Line Indonesia representative said the service is officially dismissed since December 7th, 2018. There’s no further details of its trial results, which is suspected not as expected, although the total participants can reached 20,000-30,000 per session at its peak. Line Indonesia said its team is now focusing on fintech products post 20% acquisition by KEB Hana Bank Indonesia. 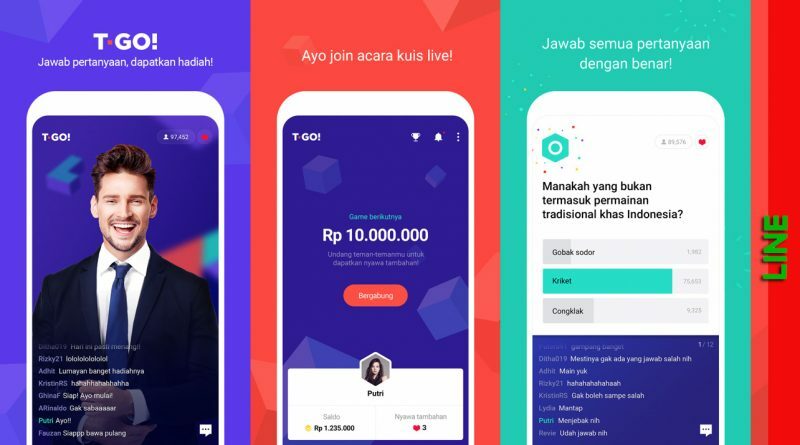 They’re re-recruiting Fanny Verona, previously was Digital Artha Media’s Managing Director in charge for Mandiri e-Cash (and LINE Pay e-cash), to handle the latest product. LINE ensures there’s always possibility for T-Go to return in the future whether significant demand comes from users. Currently, T-Go’s early users can disburse the cash rewards. Money will be transferred to the registered bank account.